Well hello to you my reader chums! The weekend just gone, I was whisked away by my best friends in celebration of my birthday. I turned 21 in June and they surprised me with a glamping experience in a yurt and day out in Brighton. After waiting a few months, the day finally arrived! 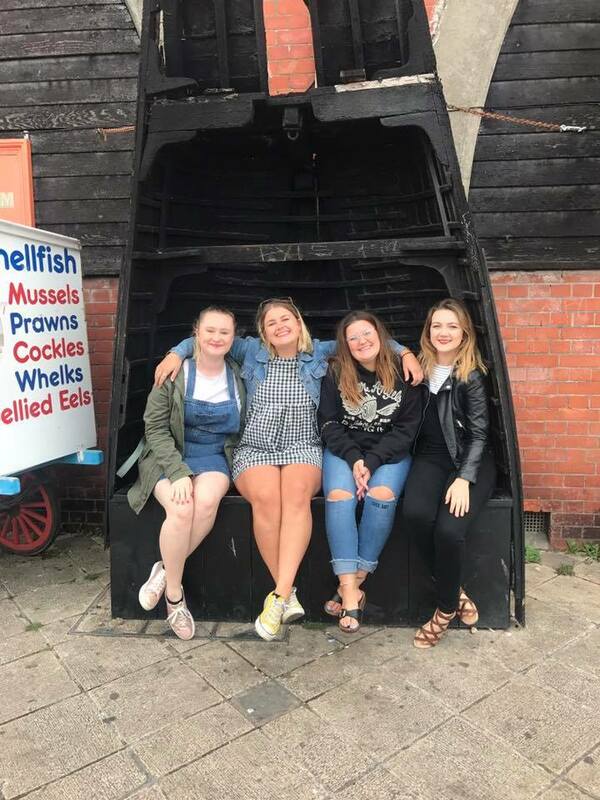 Here's what we got up to..
After a 2 hour drive, we arrived at Hales Farm in Chiddingly, Lewes, located around 45 minutes from Brighton. On site, there were horses, sheep, a few other glamping pods, pitched tents and cleaning facilities; I loved it. The environment was ever so peaceful; living in a seaside town, I sometimes forget how quiet a place can be with the only noise on the farm, its animals in the distance and fellow campers. I strangely loved that silence, it made our conversations that extra bit louder and as if we we're the only ones there in our little world. 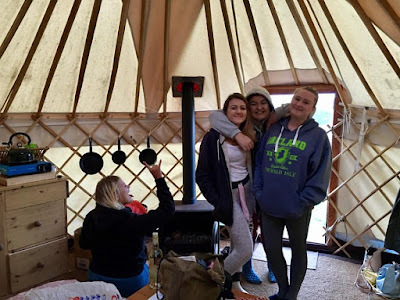 Once stepping in the yurt, I was amazed by how super cute and efficient it was for the 5 of us. There was one double bed, a sofa bed and camp bed, enough space to accommodate us all for a good nights sleep. The yurt provided a sink, camping stove, indoor wood burner, outdoor dining table, mini BBQ and all the cutlery you could need. 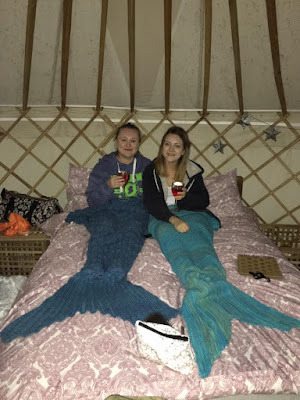 As our little home that night, it lived up to all the glamping excitement! 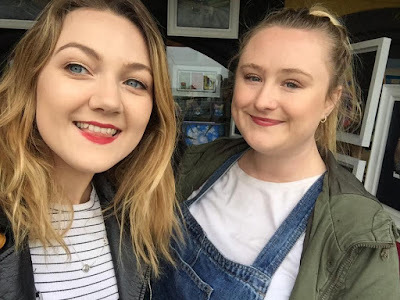 The girls put on a BBQ, we drank wine, they sung a belated happy birthday with a surprise cake and we chatted all night long until our eyes shut; it was everything I could have wanted. Having that time with my best friends, away from technology and Wi-Fi, somewhere so peaceful was incredible. It's times like that you appreciate what life is really all about, the little things. 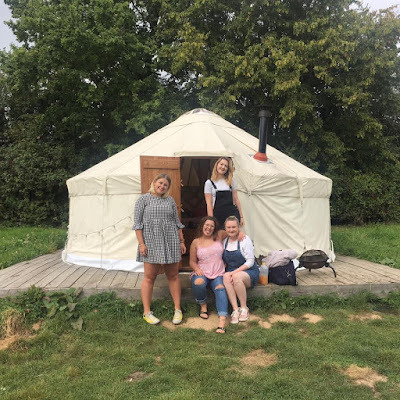 I'd never thought to go glamping myself so for my girls to plan it was really special. We had the best cosy night in and I loved every single moment. The pictures we shot captured the perfect snippets of our night away that I wish we could have stayed for another night to relax even more! On the Sunday morning, we headed down to Brighton, my favourite ever UK city. With the calm environment mixed with that city bustle, I love everything about Brighton. Its charming seaside scene, endless shops, quirky discoveries, restaurants and overall beauty. There's always something going on, yet you never feel crowded like in London for instance. As I'm a beach baby, I think it combines my love for the seaside with that ambition to be a city gal. Glamping needs to be on everybody's bucket list, whether for one night or a long weekend, it's a crazy amount of fun with your best friends. I just wanted to give a massive shout-out to Danielle, Chloe, Molly and Lily who organised this trip for my 21st. I'm incredibly grateful and thoroughly enjoyed every minute. 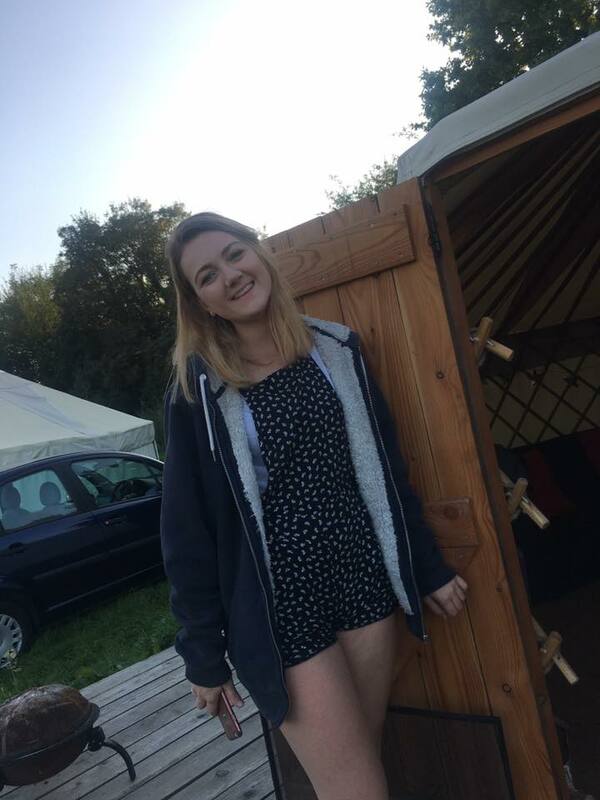 I'd love to spend more time in the countryside, it made me feel at such ease, even waking up to the sound of horses was a crazy moment in itself. 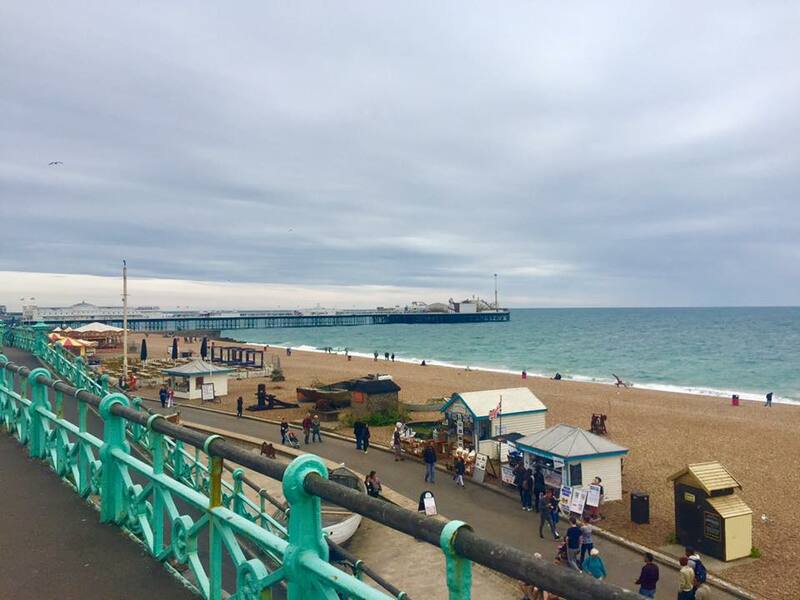 Brighton, you'll forever be my favourite place in the UK and I can't wait to visit you again soon. 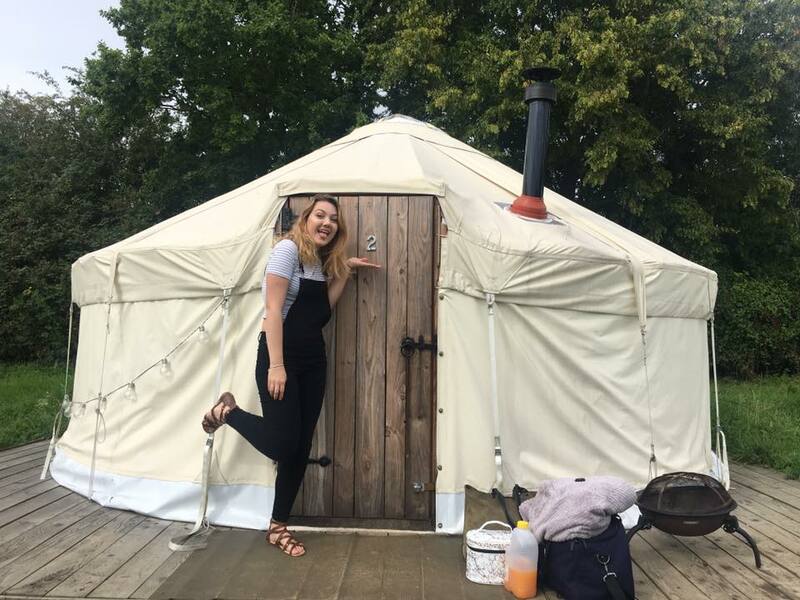 For more glamping inspiration, check out this 'Unique Airbnb Glamping experiences' article. I hope you enjoyed this weekend post. Have you ever stayed in a yurt? 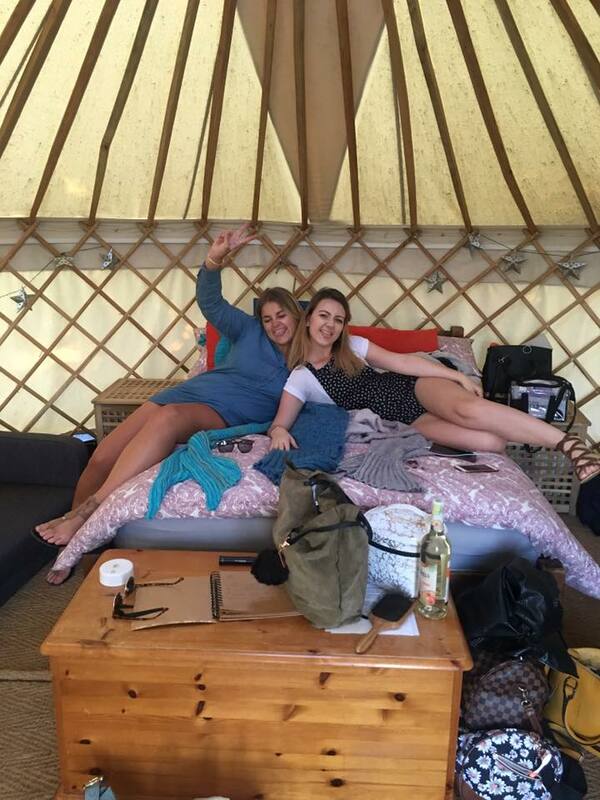 Glamping looks so good! It sounds like you had a lovely time!